Although the loss of teeth is more common in older people, it can happen to anyone at any age due to disease or injury. This not only affects a person’s appearance; it can be a cause of embarrassment resulting in a loss of self-confidence which in turn can affect the overall quality of life. The inability to speak clearly is just one of the issues that arise. In addition, the loss of teeth also has a direct impact on your health. Without a full set of teeth, it is not possible to chew food properly. This ingestion of partially chewed food can lead to all kinds of digestions and gastric complications. Maintaining proper oral hygiene is also much more difficult. Dentures offer a solution to these problems. Both complete and partial dentures can be fitted. When all the teeth have been lost, complete dentures are used. These come in several shapes, sizes and shades and look natural. The teeth are processed into a customized based that fits comfortably over the gums. Partial dentures are meant for those who have lost only some teeth and want the gaps to be filled for either functional reasons or to improve their appearance. By being able to chew your food properly, you will be able to digest it better. This in turn will lead to improved nutrition and better overall health. Dentures will give you a natural smile and improve your appearance by providing support for your lips and cheeks. This will give your face a fuller and more natural look. You will be able to speak more clearly as the dentures will improve your pronunciation and the clarity of your speech. The renewed self-confidence you will feel will enable you to interact with others with greater comfort and ease, both in personal as well as professional relationships. While the need for dentures when all the teeth have been lost is obvious, not all cases of some missing teeth can be fixed by using partial dentures. 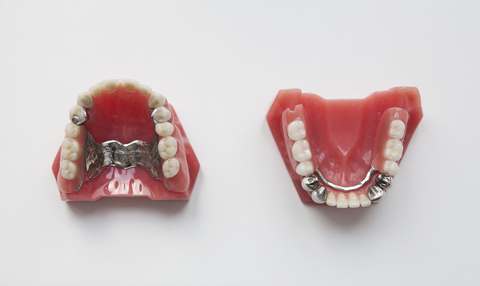 Your dentist will be able to advise you on what type of denture are right for you. He will be able to answer all your questions about the functionality, appearance and care of the dentures. Once you decide to go ahead, he will make the necessary molds of your gums and to the other measurement needed to get you dentures that fit you best so that there is no discomfort, the dentures look natural and you are able to do all things that you could with your natural teeth. Dentures are more than just about being able to smile. They will improve your appearance, health and the joy you get from life.